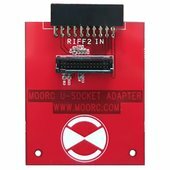 Adapter eMMC/JTAG for RIFF Box 2 - RC2000 allows you to perform a very simple phone repair by JTAG, using IDC 20-pin connector, known from previous RIFF. 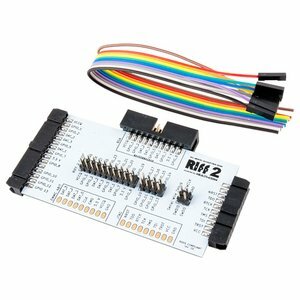 It is also supports eMMC, using latest 30-pin connector (IDC 30-pin). Thus you can repair phones with blocked JTAG access (GT-i9300 / N7100 / N719 / N7102, etc. ), repair phones with damaged JTAG points/pads (access to ROM2 by EMMC) or read/write EMMC in case then the data recovery/analysis is required. 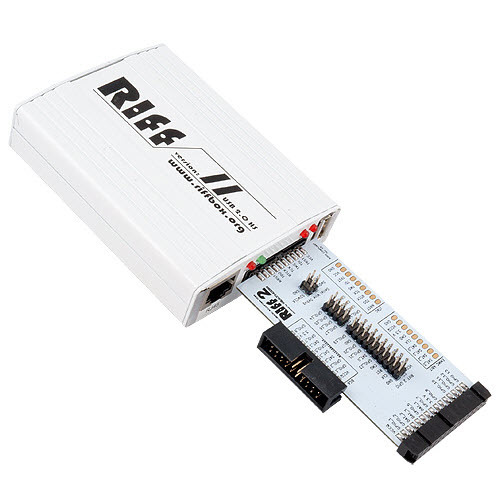 Using this adapter, you can perform format EMMC or low-format (in case of damage EMMC), CMD42 lock/unlock/password reset or Samsung eMMC factory format. eMMC/SD read info, browse through OCR, CID, CSD (and EXT_CSD for eMMC only) registers’ fields, edit separate fields and write back to card, read/write eMMC card’s MCU’s internal firmware, etc. 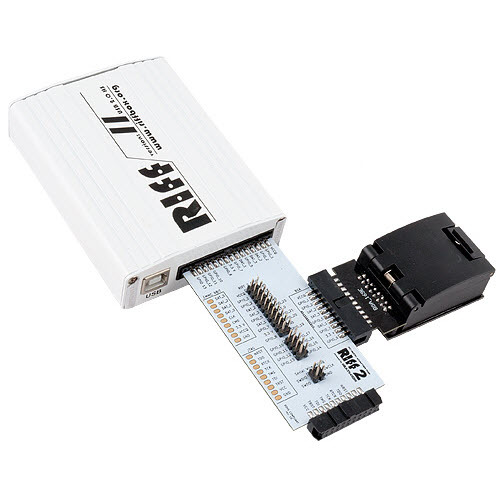 Adapter eMMC/JTAG – 1 pc. 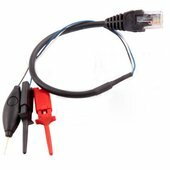 FF 10cm cables – 10 pcs.